This summer, we have 9 special summer workshops for you and your little ones to try fun tech stuff. Starting on 26 July, we will be offering a range of workshops for ages 6-16 years old, from codebugs, robots, lego, animation, wearable tech + more! All workshops will take place at our offices. The address is Kestrel House, Marine Road, Eastbourne BN22 7AU. For more details and booking, click on a link for more information or see our Eventbrite events page. The Codebug is a cute device designed to teach children as young as 7 to learn computer programming (or coding, as it’s sometimes called) in a fun way. We’ve had a lot of success in using these devices with children to learn coding and to control things like LEDs. The main feedback we have from sessions is that parents would like to learn more so they can help their kids, and the kids (and parents) would love to own a Codebug of their own to carry on coding at home. This session is a chance to do all that. 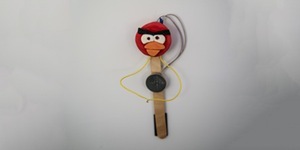 With a couple of basic starter lessons, we’ll have child and adult working together to learn to code this delightful little device which they then get to take home along with some accessories to carry on the fun at home. All coding is done using a browser (like Microsoft Internet explorer, or Edge) on a laptop or desktop computer. Become part of an engineering team for two days.Your team mission is to program a Raspberry Pi Zero computer (with camera attached) to take aerial photographs from a bunch of helium balloons. The team will take on all parts of the process from the initial problem-solving through the testing phase to the launch – all with the help of some of the TechResort Elves. All participants should bring a packed lunch. We’ll supply some drinks and snacks. 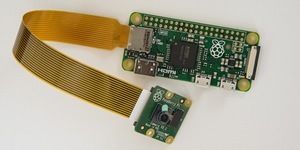 All participants will get to take home a USB memory stick with photographs from the event and their RaspPi code files. Please note that we will be taking the children somewhere suitable outside for the balloon launches – we may walk up to 1km (about 15 mins walking) to a suitable site. Please ensure all participants have suitable walking footwear and a waterproof coat (just in case). Come and learn to program a Lego Mindstorms robot. Using a graphical programming language you’ll learn to use this powerful software to control an autonomous robot to recognise its environment and behave accordingly. Children will be working together in small groups with a pre-made Mindstorms Robot. Electronics don’t just have to be put inside a metal or plastic case…we can put them in loads of things…including paper! 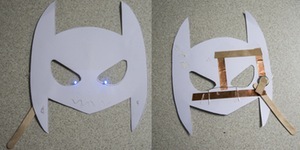 Design the mask, build and test the circuit yourself – then take it home to show your friends! 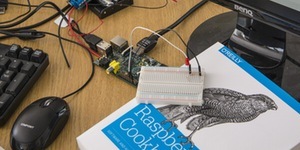 Come and join Dr Aidan Delaney from the University of Brighton to build and code a small robot from the ground up. You’ll be working in small teams to make a robot from basic components. Some soldering and other skills may be required but there will be Elves on hand to help out. All participants need to bring a packed lunch on both days, but drinks and snacks will be provided. No specific prior knowledge or experience is required but a willingness to get stuck in is essential. If you enjoyed our introduction to animation with Stykz software, this will be right up your street. 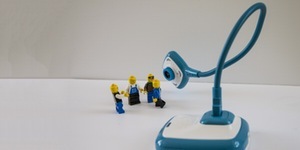 Animate your own short film using “live” stop motion software and a specially designed camera. You can use clay, Lego, paper, pen, or anything else we have on hand. At the end of the session you’ll take home your film on a USB memory stick. You don’t have to have any previous experience of animation to join this workshop. One of our most popular sessions at TechResort is the one where we dismantle pieces of old tech kit. In this session, we’re going a bit further and turning the stuff we dismantle into a sculpture. Bring your own piece of kit or use one of ours instead and get a look inside to see what goes into making your kit work. Then fashion a piece of art to take home as a souvenir! We have all the dismantling tools you’ll need right here at Kestrel House. We’ll be using battery operated hot glue guns to make our art so care will be needed. Laptops, printers, old DVD players are all great for taking apart – bring one with you if you’d like. 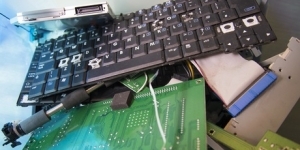 If you bring your own items with you, we’ll even dispose of the bits left over safely and legally. Here at TechResort even our fridge magnets include some tech bits. Build your own fridge magnet complete with a power supply and LEDs that flash. We’ll supply everything you need to create a self-hardening clay model, which you’ll make into a fridge magnet to take home with you. Paracord bracelets are a really easy way to carry a useful quantity of cord with you at all times – and they look cool, too. 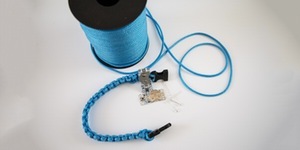 We’re updating the concept further by weaving fibreoptic cable through the bracelet and lighting it with an LED. Come and join us in this fusion of craft, art, fashion and sewable engineering and then take home your bracelet at the end of it. The session is 4-hours long to let you develop each of the skills you need to complete the bracelet. We’ll have a lunch-break part way through so please bring a packed lunch and we’ll supply drinks and snacks.